Because of the spreading awareness and so many campaigns to make us aware of the benefits and the need for recycling, people are actually taking this option very seriously. Recycling is one process that needs to be done constantly. Well, recycling can be started anywhere, be it your house or your work place. Firstly, there is a lot of paper that is used in all offices. There are a lot of junk mails that you receive. You can sort all your junk mail and put it up for recycling instead of simply throwing it in the trash. Office paper, the white high grade one, mixed papers like newsletters, leaflets, newspapers, envelopes, pamphlets can also be recycled. Books, brochures, magazines and booklets are also ideal to be put through this procedure. Apart from the paper waste, there are many plastic and glass materials and things that can be recycled instead of being disposed off. Also, your office might be using a lot of printer cartridges, plastic bottles, electrical equipments which need not be merely thrown away. There are a lot of metal products like office stationeries, food tins, drinking cans, etc. That can be sent to the recycling centres for scrap metal recycling. Well, it is an easy task. Moreover, it saves a lot of space which can be constructively used. Also, a lot of clutter is significantly reduced. Apart from this, it gives a good feeling to be working towards the betterment of the environment. Recycling is a very cost effective procedure. Selling of scrap metal can earn your business some extra income. Also, it is a noble way to protect the environment. So, start making your employees aware about this process and begin recycling at your work place today. 1. Buy goods that are recyclable and also have recyclable packaging. 2. Go for eco-friendly goods so that even when they are dumped, they do not harm the environment in any form. 3. Reduce the usage of materials like plastics; they cannot be recycled easily. Switch to paper products instead. 4. Use recycled paper; it saves a lot of trees, thus benefitting the environment. 5. Reuse as much as you can. Paper envelopes, cloth bags, plastics can be used over and over for different purposes. 6. Do not dispose things wrongly. Make sure you segregate your waste. This will help the garbage collectors a great deal. 7. Sort your waste before you finally throw it. Collect items like paper products, glass materials, metals, etc. Separately and dump them at a collection centre; the concerned or responsible recycling company will collect it from there and recycle this waste. 8. Make manure or compost out of the wet waste that you collect. This will be a great natural fertilizer to your plants in the garden. 9. Do not simply throw away things if you are renovating or shifting. Instead of throwing away your old books or clothes, help the needy and donate them to NGOs or schools. 10. Do not buy what you won’t be using. If you limit your purchases, you’d definitely limit your wastages. Waste management is something that everyone needs to consider pretty seriously, and it needs to be implemented on a large scale in order to benefit our planet. Recycling is gaining pace and is a healthy trend followed in many parts of the globe. UAE is not far behind. However, UAE needs to recycle more often, and there are many companies like the Lucky Group which is experts in recycling. The simplest metal to recycle is Aluminium. This metal is abundantly found and is easier to gather. Soda cans, tins, foils, window panes, hinges, there are many aluminium products that need to be recycled on a large scale. Aluminium recycling needs to gain trend in UAE for a number of reasons. Well, most importantly, aluminium is a metal that can be recycled 100%. It can be recycled innumerable times and the metal does not lose out on its original qualities. Aluminium is also the most copiously and abundantly used in our everyday lives. Extracting the raw material every time, requires a lot of efforts and energy. The money and labour cost spent on these can be saved, and the same efforts can be utilized in a better fashion. UAE will benefit a lot overall when aluminium is recycled on a large scale. The space in the landfills can be utilized to deposit other wastes. What’s more? These practices generate a lot of employment opportunities. Recycling centers, factories, need a lot of skilled personnel and professionals and thus, a lot of employment options are open in great numbers. Recycling also benefits the Alloy manufacturing companies hugely as the recycled metal can be put into use to produce raw materials, without needing fresh raw materials. Well, for any nation, recycling is of utmost importance as there are a number of benefits to this practice that will help the nation in an overall growth. Lucky Gro up’s cricket team “Lucky Stars” is pleased to accept an invitation from the ICC Academy for the Spinz Challengers Cup 2013 taking place at the Dubai Sports City from October 24th to November 15, 2013. Waste management is the need of the hour. With a pollution being on a rise every single day, waste management is one tool which can help to curb this problem. Recycling the waste helps a great deal. Recycling simply converts these items which were regarded as waste into something that can be put into usage again. Well, waste management is a totally uncomplicated procedure. It generally covers the plastics, papers, cloths and glass. However, there are many companies who also deal with metals when it comes to managing the waste. Metal waste management has been gaining speed for quite a while. Even if you are an individual or an organization, you can be a part of waste management as well. Contact recycling companies or waste management firms and they will guide you through the entire process. What you need to do on your part is identify your waste in the first place. If your waste is more of metals, you can contact the metal recycling companies. These companies either have dedicated centres where you can drop off your trash at; some companies offer you the option of collecting metal scrap from your place. Make sure that you segregate the waste properly. Waste management is a big contributor to sustainability. Well, a lot of companies are taking a step towards eliminating waste through waste management and recycling. Metal recycling especially has been considered a lot more because the demand for metals like aluminium, copper, steel, brass etc. has been increasing with time. This is a practice that definitely should be encouraged and practiced widely. So, you have some scrap at home or at your workplace, and you need to get rid of the same. Well, recycling does seem like the best option as it is environmentally beneficial. However, it is not just that, recycling is economically beneficial as well. All the same, you need to understand how you should sell your scrap. Firstly, you need to ensure that you have done adequate research on the companies that are running the business in the market. What you need is the best company out of the clutter. Companies in rural areas or remote areas do not generally pay you a good price as compared to the ones in an upbeat area. You can do your research on the internet and figure out which company has the best services to offer. Also, bear in mind that for some companies, more the quantity, better the price. Some companies offer you more than the general market rates in specific seasons. So, you can wait for a bit for the right season and then sell your scrap. Also, you need to make certain that you sell your scrap to a company which has the valid license for its business practices. It is also advisable to take the opinions, suggestions and references from family or friends. These are the people who can give you a better advice than any testimonial. Also, if they have opted out for a similar service, they can be your best guides. Recycling scrap metals is a pretty noble thing to do. It benefits the environment hugely. Follow these tips and get the actual worth for your scrap metals. Aluminium is the most commonly found metal. Right from your soda cans, alcoholic beverages, foil packs, pie tins to sidings, building gutters and so many more items are made from this material. Generally, all these things are disposed off into a trash when their purpose is served. However, if you make an effort to recycle aluminium, it proves to be highly beneficial in many ways. -Recycling aluminium is an energy saving process. It saves up on a lot of energy when you recycle aluminium as compared to when it is freshly extracted. - There is no emission of greenhouse gases when aluminium is recycled. - Aluminium is a metal which can be recycled endlessly. - It does not lose its originality no matter how many times it is recycled. - Recycling aluminium is highly effective and also quick. Within a few minutes time, recycling companies produce a large number of aluminium cans. - This metal is highly valuable and has a great demand in the market. When recycled, the prices of this metal do not really shoot up by huge margins and this helps to maintain the prices in a stable range. - Also, it is economically sound for any business as recycling helps to diminish or eliminate the need for raw materials. It is highly profitable for any business to recycle the products and resell them. - The capital required to produce fresh products is way higher than that needed for producing goods from recycled materials. These are just a few reasons why you should consider aluminium recycling. It is not only beneficial to the businesses that are involved in this activity, but also is monetarily profitable to people who sell their scrap aluminium metal. There are so many things which you do not need or are not in use for a long time. Instead of simply throwing these things in the dumpster, you can reuse them even more efficiently. “Charity begins at home”, they say. Well, in this case, you aren’t doing a charity as such, but you are definitely helping the world to be a better place to live in. So, how do you go about it? Look around in your house and see which are the items that you think is clutter, and you are thinking of disposing? You will find a lot of things in the kitchen which are can be used again. All your kitchen leftovers, food scraps and yard trimmings can be turned into good compost and can be used as a great fertilizer for your plants. Do not throw away newspapers in the trash. Stack them separately as they can be sent for newsprint recycling directly. And not just the newspapers, you can store magazines, booklets, pamphlets, envelopes, old letters and other such paper materials together. Corrugated cardboard is also another material which is highly valued when it comes to recycling. Apart from these things, you can collect things like aluminium cans, plastic bottles and tins which are recyclable. You can make things easier for the recycling company by flattening these cans. However, if that is not possible the least you can do is to clean them and hand them over hygienically for recycling. You can contact your nearest recycling centre and ask them to collect things from your place, or you can yourself drop them off to these places. Thus, these are a few things which can help you to do your bit towards the society and the environment. Have you ever thought what may happen if all the metal ores get depleted? Where are we going to build machines, manufacture tools and what will you drink your favorite soda from? Metals are an important part of our lives and are used for manufacturing umpteen things today. However, some of them are limitedly available and are facing a serious threat of exhaustion. To save this from happening, what we need to practice is recycling. To practice recycling is something that our planet needs. This process of tuning and putting things back into usage is an extremely healthy for the environment and is extremely beneficial economically. Lucky Group is a company which is actively and very positively involved in this practice. It constantly strives to better the environment we live in. The role of a recycling center is extremely vital and huge in this process. The se centers take care of your scrap metal wastes and recycle them into reusable metals; Lucky Group’s Recycling Center strives continually to ensure that the metal trash is recycled efficiently. Recycling and environment go hand in hand complementing each other. This process saves our planet from many hazards right from pollution to the emission of hazardous gases, from saving up on the landfill spaces to helping in conserving the conventional resources. It helps a great deal to limit the need for raw materials when recycled scrap can be used as good as new for manufacturing products. Therefore, it’s high time that these efforts are appreciated and valued and the number of people joining this cause increases. So, start separating your wastes and ensure that you do the needful on your part. After all, every attempt counts! Its summer time and you are planning some amazing, fun activities in the evenings to cool off the heat. You want to just relax and get rid of all the tiredness on the weekends. May be called some of your relatives or friends over and enjoy a nice pool party or barbeque with them. Sounds cool doesn’t it? But hang on! What about the junk that’s lying in the backyard or near the pool or in the garden? You can’t have a party with that! So here’s the solution! Why don’t you simply put these things up for recycling? 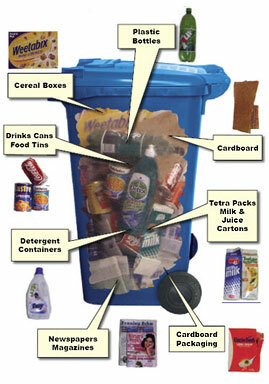 Call up the nearest companies to your house which provide you with recycling services. Have them visit your place and have a look at the scrap metals lying around in your house. Make sure the company that you choose is not just offering you the best price for your materialsbut is also registered, certified and licensed. Asking your Kith and kin about their advice on the same is highly preferable. You can also look at the companies’ clientele and customers’ feedback to know more about their credibility. Take out the chairs or old metal furniture that had rusted, but yet stayed in your garden for years together now. You could give up on your lawn mower that you aren’t using for ages or the one which has gone down the drain because it has stopped functioning. Other similar instruments which are broken or become dysfunctional beyond repair can also be put up for recycling services. You can earn a good deal of money through this noble deed of being conscious towards the environment, by engaging in recycling in summer. Hiring of metal recycling services becomes a crucial when there is construction, renovation or demolition work in progress. But you think these people are not needed and these kinds of services are not as good as they seem? Of course there are a few bad companies in the clutter, but that does not mean you stereotype all the firms in the business. You must realize that these people are not untrustworthy. It is vital that you choose a firm that is registered. Firms that are listed and have a legal license should be trusted with these jobs. Firms that would suit your requirements and that are ecologically sensitive should be considered. A proficient manager will make certain that he does not hamper the speed of your work. He will make sure that he stays out of the customer’s way as much as possible and yet does his work smoothly. A fitting discussion with the contractor as to how the entire process should be carried out can be chalked down so that it is easy for both the parties to get their work done in an efficient manner. Many people do not consider calling in a contractor to get rid of the scrap and simply discard it. However hiring someone who can manage these things is one of the most excellent decisions that an organization can take. With an effortless site inspection, the manager can provide the client an easy breakdown of what needs to be done and how much of scrap the company would be producing and how to get rid of it in the most cost-effective manner. Being beneficial to the company, these services should be considered and looked at in a positive manner. The scrap metal industry has seen an upsurge over the years. There are many merchants who have plunged into the business and have self-owned manufacturing units. These metals can be combined with any other products like aluminum cans, broken kettles or even construction site leftovers. The business is extremely profitable and recycling scrap has numerous advantages. It is a highly eco-friendly and diminishes the need to rely on the conventional resources. These materials can be broken down and can be recycled and reused in an efficient manner. Recycling scrap is hugely profitable and hence scrap metal merchants create marvels making their businesses extremely profitable. It is a general notion that these materials do not require special consideration but the truth is that these metals need a lot of attention as they are of various types and the recycle process for each is different. Copper, aluminum has different properties and need to be treated differently. Ferrous and non-ferrous types have to be segregated too. A lot of materials and things around can provide you with scrap. For instance- old batteries, old steel materials, soda cans, cars and even old airplanes. These are all extremely valuable sources. A trader will handle the entire process of the selling. He will weigh all the materials and then will pay for them. The trader will himself arrange for the removal of the goods from the site. The merchants then are involved in the manufacturing procedure as well. The best part about the whole practice is that it is a very positive towards the environment as it not only curbs the hazards that are otherwise generated if aluminum, copper and steel are freshly produced, but also helps to save the space in landfills and generates employment opportunities. Copper is a metal that is abundantly found worldwide. It is also one of the most commonly and extensively used metals in the world. Right from your household devices like gas stoves to plumbing systems, coins and constructions, copper is used on a large scale. Many famous monuments have shown the usage of large quantities of copper. This is because, copper is also known to have innumerable benefits and is thus widely used. Burying of copper in landfills is not only monetarily expensive but also causes irreversible environmental damage. This is because it affects the groundwater resources and the soil too. Thus, if copper is recycled, it would help to avoid this damage. Recycling can save landfill space as well. It also protects the fossil fuels from any kind of potential damage that can be caused if copper is dumped into earth. Refining and mining of copper releases gases like sulfur dioxide which is harmful to nature. Recycling however would bring about a reduction in the releasing of these gases. It also saves a lot of natural resources oil and gas, coal, etc. Extraction and mining of copper consumes a lot of capital. On the other hand, when copper is recycled, it not only saves money but also retains up to 90% of the original cost. It is virtually impossible to differentiate original copper from the recycled one. Many products of high quality can hence be produced through recycled copper. Apart from this, it also prevents the cost of copper from rising in the world market. Copper is a metal that is known to retain its properties irrespective of the number of times it is recycled. Copper scrap metal also fetches a pretty good price and is considered to be highly valuable in the market. If the proper steps like cleaning and separating of the metal are followed copper scrap can be sold at a very high profit rate. Dubai’s Lucky group has been very much active through its copper recycling company- Lucky Recycling. It has made credible efforts to work towards the conservation and preservation of environment by conducting recycling. Reduce, reuse and recycle is a saying that has been making rounds throughout the planet for ages now. Recycling is done on a large scale in many parts of the world and is a positive step towards a better environment. The waste products that are merely thrown into thrash are not put into use for any other purpose. In such cases this practice is extremely beneficial. Reuse of metal is known to save a huge amount of energy and it also supports the conservation of natural resources like metal ores. This process is also responsible for the reduction in carbon footprint. It also is helping the greener part of the earth to remain intact. Scrap metal recycling is a practice that is gaining speed. Lucky Group, one of the leading companies for scrap dealing in Dubai have been positively active in this practice. Its scrap recycling company efficiently recycles aluminum, copper, brass, zinc, lead, etc. Recycling helps environment by saving spaces in landfills. Also, this practice results in the reduction of emission of greenhouse gases. To save the earth from serious damages, it is vital that things are recycled. The activities of manufacturing, mining and extracting of many metals result in the release of a lot of harmful gases which can be curbed if they are recycled instead. Aluminum, copper, etc can be recycled innumerable times without its quality being affected. Thus, this practice is a better option than simply discarding things into landfills. We, at Lucky Group would like to announce that we will be participating in the 2013 World Recycling Convention & Exhibition in Shanghai. Lucky Group is a proud Emerald sponsor at the upcoming BIR conference. We will be using this opportunity to reach out to a powerful group of leading recycling industry business people from across the globe. The event will be held from May 27-29,2013, at the Pudong Shangri-La Hotel. This is an internationally recognized five-star business hotel. It is located at the famous Huangpu River in Shanghai’s vibrant Lujiazui financial district, directly opposite the historical Bund. The value and potential of aluminium in the transport and construction industries has been recognized over the past two decades. This precious metal continues to gain popularity as an alternative to steel and iron due to its favourable properties. Its light weight coupled with strength, has allowed it to be the preferred material in the transport and construction industry. Its ability to be recycled at a mere fraction of the initial production cost of primary aluminium has accelerated aluminium growth in Middle East and solidified its position as a sustainable metal. The use and consumption of aluminium is present in most industries today with the automotive and construction industry preceding the rest. Another industry that is a major consumer of aluminium is the packaging industry. The Aluminium market is shifting towards the Middle East bringing with it good opportunities and a lot of potential for growth. The Aluminium industry is also experiencing an increased aluminium production mainly in Saudi Arabia, Bahrain, Iran and the UAE due to the availability of cheap energy in the region. Aluminium growth in Middle East further benefits from advantages such as rich bauxite reserves as well as economical energy. Even the close proximity of the GCC region to European countries, enables smelter operators to further reduce costs. Primary Aluminium production in the Gulf has been on the rise throughout 2011 and 2012 with the commissioned Qatalum smelter reaching its full capacity of 585kt. Thus, the aluminium production growth rate is expected to sustain itself over next few years. The GCC region is estimated to have already invested around Dhs17.3bn into aluminium projects and plans to invest an additional $968bn in major projects over the next ten years. The aluminium industry has now emerged as one of the major economic drivers for the Gulf, contributing to increased job creation. It has also accelerated the growth of both small and medium size industries thereby contributing to community development in the UAE. An estimated 80% of aluminium produced in the Gulf is exported to different parts of the world. This has reaffirmed the GCC’s vital role to meet local, regional and global demand. Therefore it will not be too long before the smelters in Europe and the US face cut throat competition due to Middle East Aluminium market trends that have resulted in both mass production as well as a cheap supply from aluminium producers in the Middle East. We at Lucky Group are proud to announce our 40th anniversary of metal recycling since our commencement in 1973. It also brings us great pride to celebrate our achievements in terms of our infrastructural set up. This comprises of three world class recycling facilities in the UAE that cover an area of more that 600, 00 square feet. It has been a pleasure serving you, and it would be our honour to continue providing all our esteemed clients with the high standard of business for many more years to come. The process by which scrap aluminium is reused in products after its initial production is called Aluminium recycling. This process basically involves re-melting scrap metal and therefore, it is far less energy intensive and expensive as compared to mining for fresh aluminium ore through the electrolysis of aluminium oxide which is first mined from bauxite ore and then refined using the Bayer process. Obtaining aluminium from the recycling process requires only about 5% of the energy used to manufacture new aluminium. This process also serves in keeping large quantities of waste from occupying space in landfills and puts the money to better use such as decreased costs for consumers and higher wages for employees. The best part about this precious metal is that it can be recycled infinitely. This is because once it has been recycled, it continues to have the same chemical molecular structure as newly refined aluminium. Since it is the exact same product with identical qualities, recycling all of this metal that is presently in use could meet the rising demand for decades without ever needing to refining new aluminium. This is mainly because the supply of bauxite ore from which this metal is refined, is diminishing at a fast rate. The most basic aluminium scrap recycling process is the closed-loop method. This technique melts down used beverage cans to make new sheets of aluminium. A second technique uses scrap from various sources to produce aluminium alloy with a particular chemical composition. The scrap is melted in proportions that meet the specifications and is sold as ingots. Specialized methods suitable for steel deoxidizer products or for recovering aluminium from manufacturing waste products are also used. This process also takes considerably less time than refining new aluminum. Refining fresh aluminum is a three step process that requires large amounts of raw materials and water. It also produces large amounts of carbon dioxide and other harmful green house gasses. On the other hand, an aluminum can moves from the recycling bin through the entire recycling and production and reappears on a store shelf as a fresh product in as much as sixty days. Metals are a precious non-renewable resource that will soon run out if continued to be exploited at the present rate. The importance of recycling metal that are part of the municipal waste stream cannot be emphasized enough. The fascinating thing about metals is that they can be recycled without losing any of its important properties. The dumping of metal also has a large impact on the environment because of the dispersal of metallic particles in the ecosystem. The total energy and fossil fuels used to extract and process metals from mining operations are far greater than the energy and fuel needed to recycle scrap metal. They even take up valuable space in landfills unless they are recycled. It is with these alarming concerns in mind that the Lucky Group of companies is participating in the Middle East metal recycling conference. The Metal recycling conference is a business conference serving the rapidly emerging Middle East and North African recycling market. The event is designed for scrap traders, merchants, processors, consumers and generators. It is also ideal for equipment and service suppliers of the sector. The leading international publisher Recycling Today has partnered with Waste & Recycling Middle East to offer the Metals Recycling Conference Middle East. This two-day event will present an informative program. The speaker faculty features regional and international speakers who will provide tremendous insight on local developments in the context of global markets. Attending this conference will provide you with an in-depth insight into the commodity markets for ferrous and nonferrous scrap materials as well as trends that will affect those markets. There will be discussions held on the quality standards and inspection requirements that impact international trade. Attendees will also have a chance to learn about the development plans for recycling within the region and about state-of-the-art processing equipment and technology. You will definitely benefit from networking opportunities that will enhance your trading opportunities. The Middle East metals recycling conference will be held from the 5th to the 7th of March 2013 at the Hyatt Regency Dubai, UAE. We have often heard of the environmental phrase “reduce, reuse, and recycle”. The question is, what do these terms really mean? Reducing implies decreasing the volume of waste we generate as well as the amount of harmful chemicals we use in the first place. Reusing means making optimum use of the products that we purchase as well as donating them to free recycle groups. Recycling, which is an extremely crucial step in this process is basically a series of activities within a cycle that includes the separation and collection of materials that otherwise would be considered waste. It also includes the processing and re-manufacturing of these items into new products, and the use of the recycled products to complete the cycle. I have written this blog post with the sole purpose of explaining about what we can save by recycling and the numerous benefits of recycling. Recycling saves energy: Energy is a perfect example of what we can save by recycling. A large amount of energy goes into collection of raw materials and the production of fresh products. For example, the energy that goes into the production of one aluminium can is enough to recycle 20 aluminium cans. Therefore on a large scale, recycling could translate into huge reductions in energy costs. Recycling conserves resources: There is a tremendous amount of gasoline that goes into the manufacturing of aluminum cans. Recycling helps conserve this limited natural resource. Similarly, a lot of forests are cut down to produce fresh paper and this results in infinite consequences like global warming, loss of natural habitat, soil erosion and the extinction of endangered animals. Recycling can put an end to this problem. Additional income: An additional source of income is an excellent example of the benefits of recycling. Recycling can serve as a source of income as there is a lot of money in recycling. There are many miscellaneous articles that lie around our houses that will eventually end up in landfills. Recycling can put these items to better use and also generate a bit of income. Even communities that come together to recycle their waste can considerably reduce their waste disposal costs. Thus we can see that recycling not only conserves natural resources but also benefits individuals and communities. Recycling is a matter of choice and it time we become more responsible before it too late.